As you may know, IAMSE has published two how-to manuals: the How-To Guide for Active Learning and the How-To Guide for Team-Based Learning as well as a Japanese Translation of the How-To guide for Team-Based Learning. 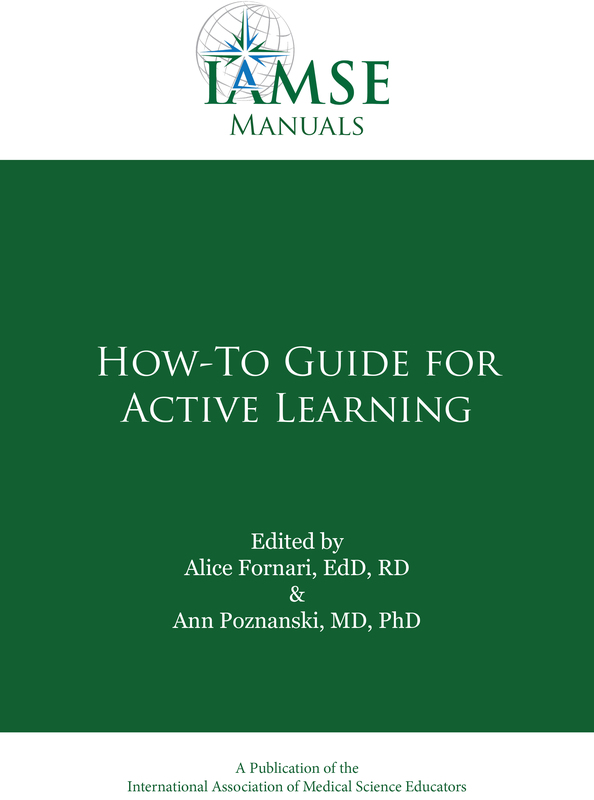 How-To Guide for Active Learning: This manual is a compilation of teaching strategies in active learning to adapt to your own large group settings. Each chapter is a specific description of a strategy written by authors who are experienced in using the strategy in a classroom environment with students. The Manual chapters are designed to be accessible and practical to the reader. The manual is edited by Alice Fornari and Ann Poznanski. How-To Guide for Team-Based Learning: This “How-To” Guide for Team-Based Learning is a manual that provides an overview of the fundamental components TBL and serves as a blueprint for instructors considering using this technique. The manual also identifies factors that will facilitate or sabotage a successful implementation of TBL. Authored by Ruth Levine and Patricia Hudes, both internationally recognized experts in the field of TBL. 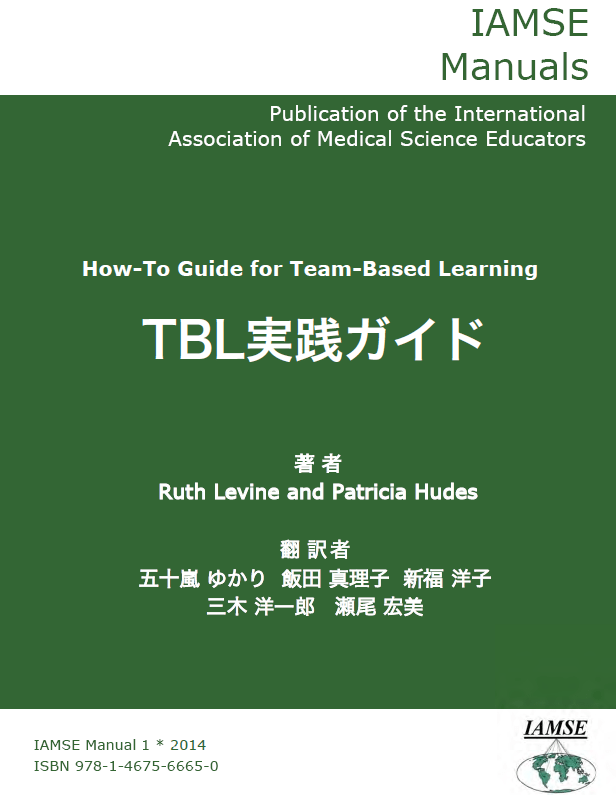 How-To Guide for Team-Based Learning Japanese Translation: IAMSE is proud to announce that we now have a Japanese translation of this “How-To” guide! 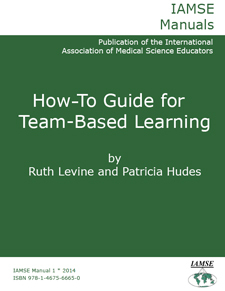 The How-To Guide for Team-Based Learning was authored by Ruth Levine and Patricia Hudes and translated by Yukari Igarashi, Mariko Iida, Yoko Shimpuku, Yoichiro Miki, and Hiromi Seo. If you’d like to purchase a digital copy of one or both of these manuals, please visit the IAMSE store here. Each manual is $5 for members or $10 for non-members. Please note: These manuals are for individual use only.